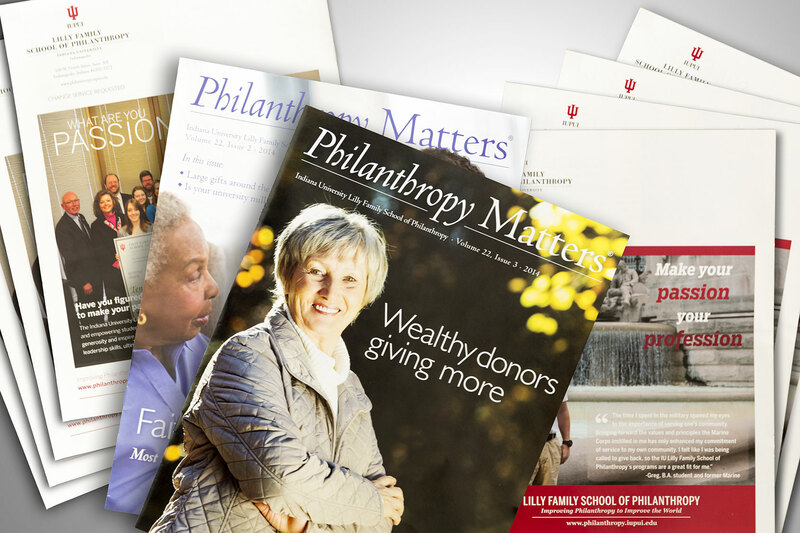 Indiana University Lilly Family School of Philanthropy Philanthropy Matters is a printed resource for the nonprofit sector. 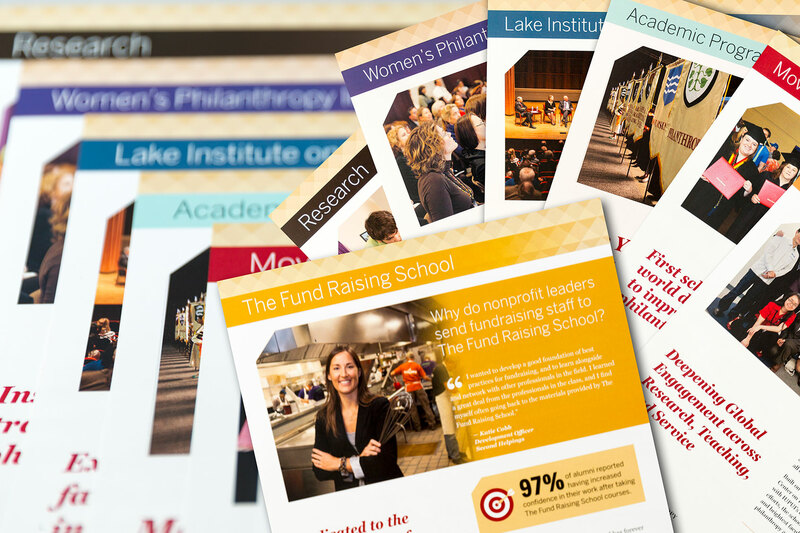 Lilly School also has eight different units, each with its own need for a marketing sheet. 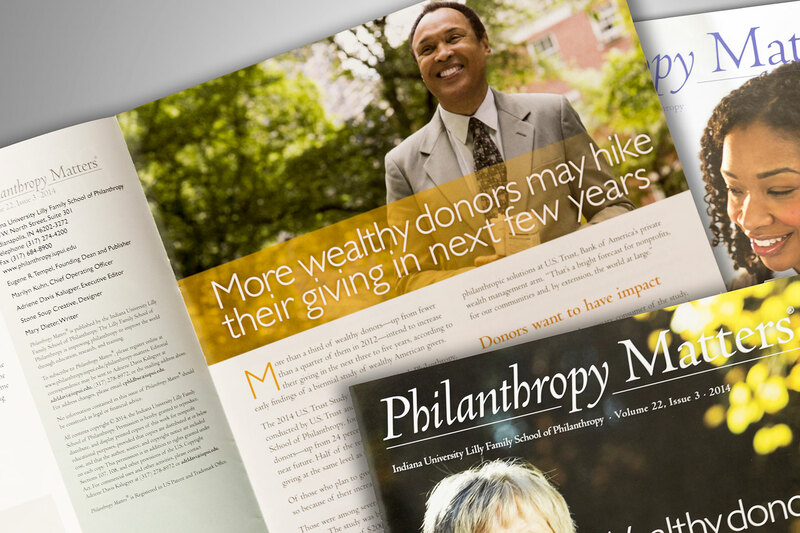 In 2013 Indiana University’s Lilly Family School of Philanthropy had become a bona fide school as opposed to a center. 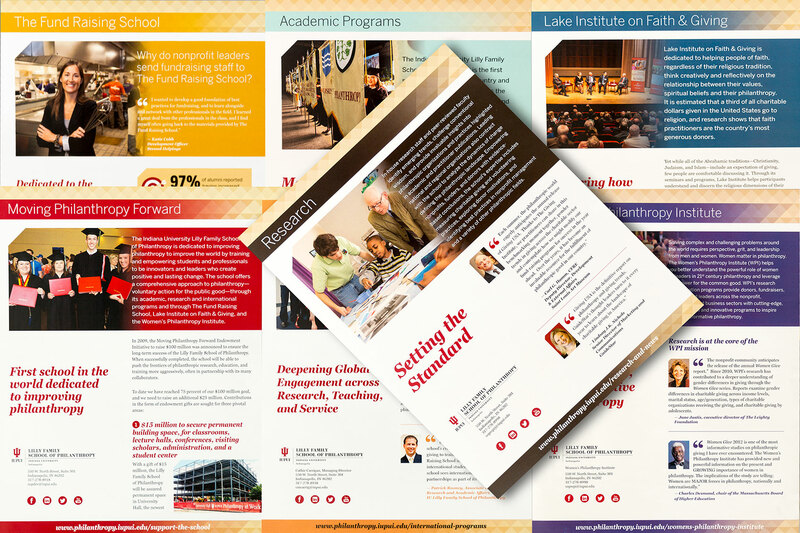 They needed eight new marketing flyers for each unit at the school – that can be used separately or together as a suite, to be included in the back pocket of the school’s overview book. 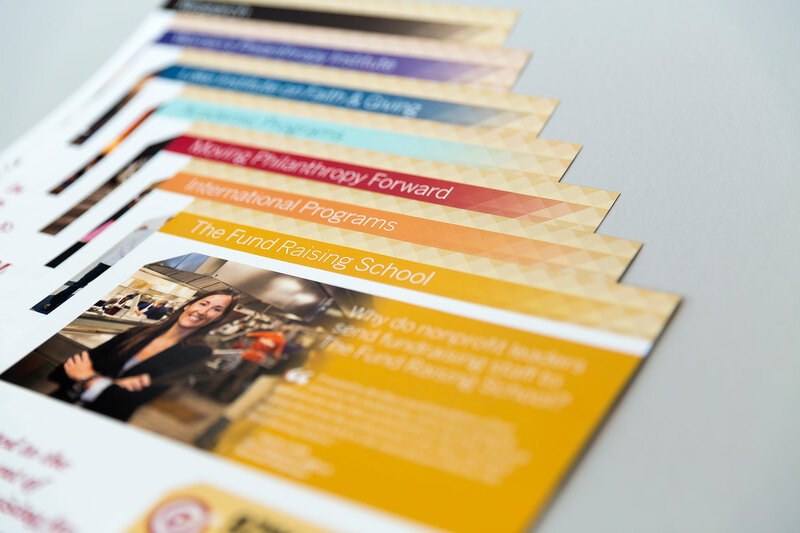 Each sheet has a similar look and feel that is on-brand for Indiana University, but with varying amounts of copy, testimonials and images. 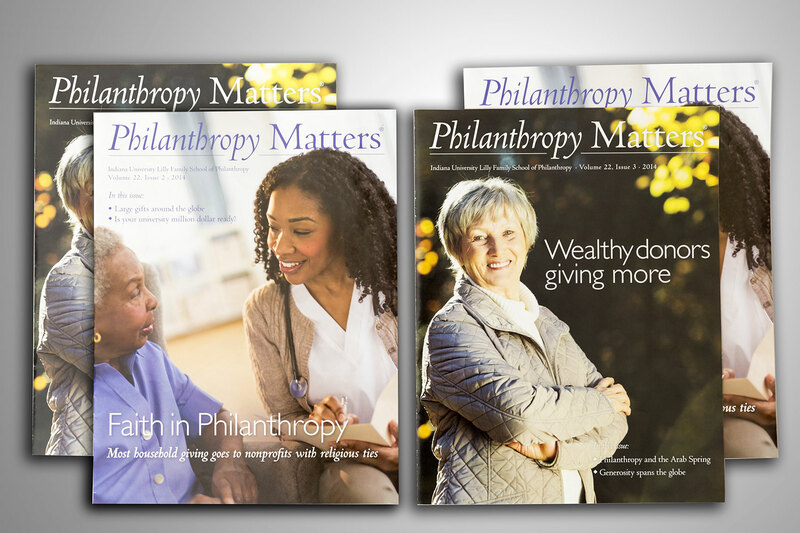 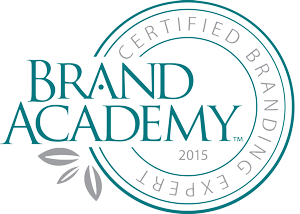 Practical, need-to-know results from the latest research conducted by the Lilly Family School of Philanthropy. 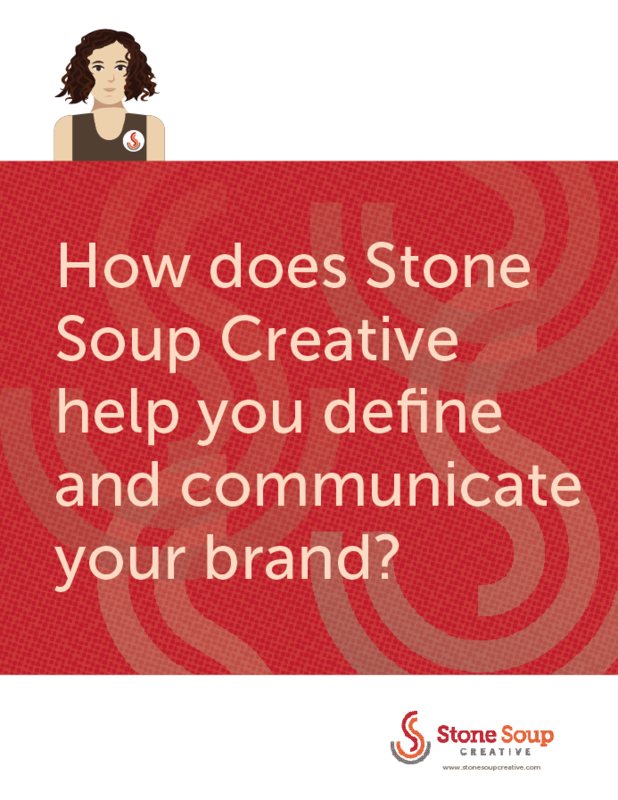 Stone Soup’s role in this project included design and layout, collaborating with the editor, implementing changes, managing and art directing the photography, coordinating print bids, overseeing print production, and conducting an on-site press check.